The BEST Chewy Brownies are just as chewy as the boxed brownies but packed with way more chocolate flavor. One bowl recipe made in less than 1 hour! Continue reading for my best chewy tips, baking science tidbits, and the full printable recipe! Taste: Just the right amount of chocolate and sweetness. Ease: Super easy. One bowl, no melting chocolate, and no electric mixer. Appearance: You can just see how gooey and moist these are! Pros: Better than boxed and almost as easy. I make this again? Absolutely. I have shared a whole lot of brownie recipes over the years. Almost 40 to be exact! Between all that brownie baking and completing my Ultimate Brownie Guide I’m pretty much your go-to brownie expert. Really, I should put that on my business card. But what I realized in looking at all those brownie recipes is that I’ve never shared a CHEWY brownie recipe. Sure, my Ultimate Brownies have a good level of chewiness. But they’re also very rich and fudgy. So these Chewy Brownies have been a long time coming. If you love box mix brownies, you’ll love these both for their chewiness and for how easy they are. Much quicker and easier than my Ultimate Brownies! Let me explain exactly what makes these brownies so chewy and easy. You can skip this if you don’t care WHY these brownies are the way they are and you just want the printable recipe asap. Unlike my Ultimate Brownies, which utilize two types of melted chocolate, these brownies get their main chocolate flavor from cocoa powder with chocolate chips stirred into the batter. Cocoa powder definitely yields a chewier brownie and has a flavor reminiscent of boxed brownies. The photos on this post show what the brownies look like if you use regular unsweetened cocoa powder. In the video above, I used Hershey’s Special Dark cocoa powder. It gave the brownies an ultra dark chocolaty appearance with a little less sweetness. If you like your brownies less sweet, I’d recommend using the dark cocoa! Feel free to use any kind of chocolate chips you want, but semisweet is my fave. With any cocoa powder-based brownie recipe, we need quite a bit of fat to prevent the cocoa powder from drying the brownies out and making them crumbly. 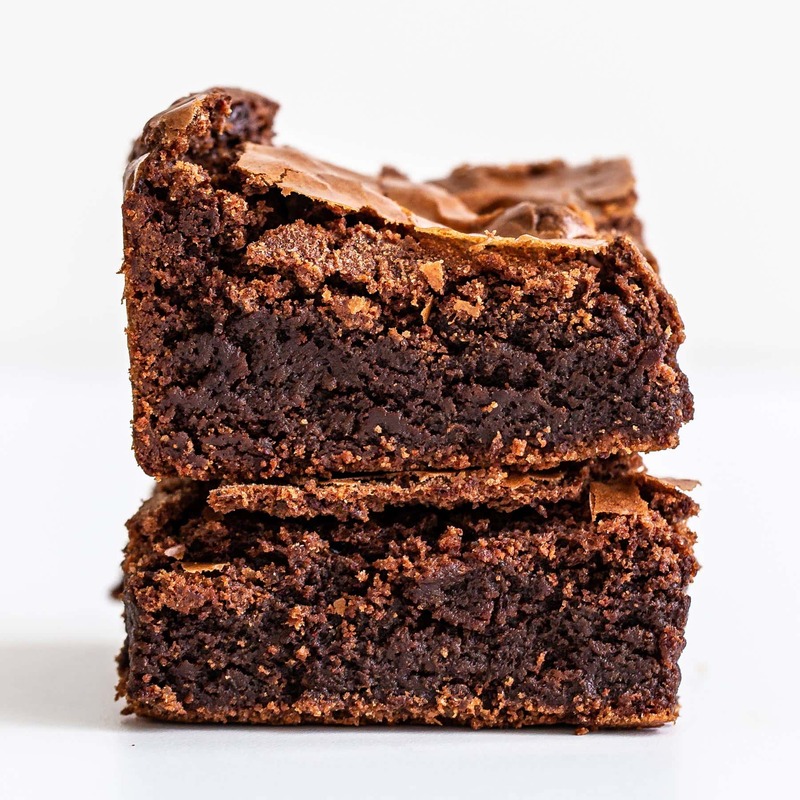 In looking at what makes box mix brownies so chewy, it appears that the combination of saturated (solid) fats and unsaturated (liquid) fats is the winning answer. According to Cooks’ Illustrated, boxed brownies have the saturated fat component covered which is why you add oil (unsaturated) to the mix. I opted for a combination of melted butter and vegetable oil for the best marriage of taste and texture. Make sure your vegetable oil is fresh to avoid any off flavors and use unsalted butter so you can fully control the level of saltiness. I stuck with granulated sugar here because although I love the taste of brown sugar, I didn’t want to add any more moisture (brown sugar contributes more moisture due to the molasses that’s added in) to these already very moist and rich brownies. 2 large eggs is pretty standard for an 8 by 8-inch brownie recipe, but I just had to add in an egg yolk for the extra dose of chewiness and richness it gives. The protein and the fat in the egg yolk helps achieve those textures. We use cold eggs, instead of room temperature, to prevent the brownies from doming and to increase moisture with a tighter crumb texture. All-purpose flour is the way to go here, cake flour makes these brownies way too tender and light. We can achieve enough chewiness without having to use bread flour, which can prevent an extra trip to the store for a lot of people. To make chewy fudgy brownies, we only need to use a little bit of flour. Any more flour will create drier or cakier brownies. If you want to be super accurate and weigh your flour, 1/2 cup equals 63 grams or 2.25 ounces. If you live in a very humid environment, or really dislike any kind of greasiness, you may want to add an extra 2 tablespoons of flour. With my brownie recipes, I usually prefer a very small amount or no chemical leavener (baking soda or baking powder). The reason is because I like brownies to be very rich and on the denser side, not even remotely cakey. Since they lift and give a lighter airier texture to baked goods, we’re only using 1/8 teaspoon baking soda here for just enough leavening to get a nice thick texture. This little secret ingredient really helps to improve the texture of these brownies so they’re that much closer to the box mix kind. Bake these brownies in a 325°F oven for about 30 minutes to avoid overbaking. There will absolutely be moist crumbs attached to a tester by the end of the baking time. That’s what we want. Even after 30 minutes if the middle still seems too moist, just remove the brownies from the oven. Carry-over cooking, the residual heat of the oven and pan, will continue to cook the brownies. Some readers have said their brownies were really undercooked after 30 minutes. I’m guessing they used a glass baking pan, which I DON’T recommend for this recipe. I recommend a metal baking pan like this one. Also, you might want to check your oven temperature with an oven thermometer as many home ovens run cold (especially when they say they’ve just preheated). The brownies definitely taste best the day they are baked, but can be stored in an airtight container for up to 3 days at room temperature or up to 5 days in the fridge. They are even more fudgy when they’re chilled. This brownie recipe is written exactly the way it is for very specific reasons, as noted in the explanations above. If you can’t use one of the ingredients listed, take a look at my extensive brownie index for other options (including skinny brownies and coconut oil brownies). I have not tried to make this recipe gluten-free, but have had good luck with the Cup 4 Cup GF flour. If you try to reduce the sugar, use a sugar substitute, use a butter substitute, or make this recipe vegan the results will NOT be the same. Feel free to add in nuts, chips, toffee bits, or anything else to the batter. They look delicious, thanks for posting! Does that mean they don’t taste fudgy though? Thank you so so much for this recipe! And especially for adding the amount of ingredients in grams 🙂 It’s really helpful. I always look forward to your newsletter because your recipes always turn out perfect. You are so welcome! I’m planning on including grams since it seems so appreciated! Thanks so much for subscribing. These look great! Do you add the oil with the butter in the microwave, or later? I may be having a mind toot but couldn’t find it in the recipe. I do enjoy your blog. I was a medical scientist in a hospital lab for 21 years before retiring. Thank you! Hi Tessa, I’m with Joanna and Sarah. I appreciate you posting ingredients in grams as well, so much easier and consistent 🙂 I can’t wait to try these chewy brownies they look so yummy!! Hiii… Love the recipe but I also love that headline typography. Which on is it?? Great-looking brownies, Tessa. I used to be one of those people who felt that using a kitchen scale was a waste of time, but I no longer feel that way. I love my scale and it makes baking so fun when your baked goods turn out they way you want them to. I’ve had my kitchen scale for over a year now, and I can’t go back to using measuring cups unless I’m measuring an ingredient that I haven’t used before. Thank you for this post; I like how well you explained your brownie recipe. Hi Tessa – these brownies looks absolutely delicious! I am definitely going to try your recipe will let you know how they turn out. Just about to make these and realize I only have cacao powder not cocoa powder. Will it still be as good or no? Thanks for the recipe. I have just made a batch and they are gorgeous. I love brownies and I like trying different recipes and this is my favourite. Love from Spain. Just made these and they turned out delicious! The only thing is my top didn’t turn out shiny like yours. The only thing I did different was not use the extra yolk, which honestly, I don’t think it needed. It was moist and chewy. Could I have mixed it too much? I know it’s weird, I just like shiny tops on my brownies. Other than that it was awesome. For some reason, these required a lot longer baking time than you listed. I had to bake them at 325 for about an hour for them to be done. I use an oven thermometer, so I know my oven was heated at the right temperature. Also, they turned out much thicker and cakier than your photos, even though I followed the recipe exactly. Any advice? All I can say is WOW! These are super easy to make and so delicious!! I absolutely love a chewy brownie and have never found a more perfect recipe until now! These are excellent when they are still warm with a scoop of vanilla ice cream and yummy the next day by themselves! You’ve done it again Tessa! Awesome, awesome recipe! Ah thank you so much, Michelle!! Hello! 🙂 These brownies look so damn delicious, like the most delicious ones I’ve seen in my life. My only question is how big your bakning pan was when doing them? Thank you for amazing recipes, hugs from Sweden! Finally!!! A recipe that delivers chewy brownies with a shiny top, just like the ones from a mix. I realized some time ago that without vegetable oil I was never going to achieve that effect from scratch, but all the brownie-mix copycat recipes out there still looked wrong. But yours is just perfect–plenty of butter for flavor, no water to dilute the batter, and the corn starch seemed like a genius idea. I was nervous during baking, as these puffed up like a souffle, but they settled into exactly the brownies I’ve been trying to make for YEARS. Next time I will heed your advice about the cold eggs. Thank you, thank you, thank you! I live in Globe, AZ. Do I need to change anything because of higher altitude? I really want to make these! Hi Brenda! I’m not really sure because I’ve never baked at a higher altitude. If you find that you normally need to make adjustments for a recipe to turn out, then I would stick to whatever you normally do. Good luck! I am SO glad I found these! I’ve been looking everywhere for a fudgy yet chewy brownie. Oh, by the way, are the chocolate chips absolutely needed? I’m out of chocolate chips and I won’t be buying any for a while. Again, fantastic recipe! When my 2 1/2 year old granddaughter asked for brownies, I just had to make some but I only had cocoa powder. So glad I found your chewy brownie recipe on Pinterest! I’ve made this recipe 3 times already this week. It’s a great way to use up all those pieces of bags of chocolate chips in the pantry. I’ve used semi-sweet, milk chocolate and dark chocolate chips with fabulous reviews. We even added some walnuts to one batch and it’s delicious. Thanks for sharing! Can i use cane sugar instead? I have no clue, unfortunately. I’ve never tried. I thought these were the best brownies I’ve ever made!!!!! Thank you for sharing this recipe! Thanks a million for adding grams!! Can’t wait to try these. I’m glad it’s appreciated! Happy baking. Thanks a million for adding grams!! Can you double the recipe, and what size pan would you use? Hi Tessa, I just made these brownies using gluten free flour, coconut butter, coconut sugar and dairy free chocolate chips as I have an intolerance to wheat, dairy and cane sugar. I just wanted to pass on that they are devine..even though I overcooked them slightly…but that was a mistake on my part. Do you mean the picture on its own or along with the recipe? These turned out perfectly! They were nice and fudgey with a nice top. When making the batter and taking them out of the oven, I could tell and smell that it would be great. I took them to a bake sale, they sold out with a little help from my friends, but I was reluctant to part with them! Thanks for the recipe and insteresting explanation of how it works. Can i use dutch cocoa powder in this? This recipe was very carefully created to make the chewiest brownies possible that replicate the boxed mix taste and texture. Every ingredient is added for a specific reason, so the best results will come from following the recipe exactly. Yes you can use Dutch Cocoa powder. Someone mentioned about cooking at a higher altitude. Usually with cooking at higher levels you have to make an adjustment. Only seen the cooking tip on the back of the baking boxes. Tessa these are my new favorite brownies! I have a lot of recipes for brownies that I enjoy but I have been looking for a chewy brownie that is also rich with chocolate flavor. I added in some candied cherries on top my second go round and sliced so that each one had a cherry. Easy and wonderful thank you for your recipe! Hello. New to baking and I tried out this recipe. I’m not sure what I did wrong but I hope you guys can help me out. My brownies turned hard and crispy. 😐 And not as chewy. It’s crumbling when I cut them into pieces. Thanks. Hi Tessa. Thanks for answering. I followed the recipe exactly. 🙁 I was thinking maybe the butter melted into the sugar? the picture, the ingredients, everything looked and sounded so awesome! but all I taste in mine is sugar! I feel like I can even feel the grit! but I am the only one who had this issue I see, as soon as my dishwasher is done, I’m going to make sure I used the correct ones! Thank you so much for this recipe! It was exactly what I was looking for. I made a double match and it was a hit! Hi. i know this might quite a weird question. but after putting the butter and sugar into microwave for 1 minute, would i expect the sugar to be melted along with the butter ? or only the butter would be melted ? I haven’t make this yet but want to make sure what i should expect it to be upon melting both. thanks ! No.. it should just begin to dissolve slightly into the butter but sugar requires a very high temp to melt. Tried so many brownie recipes but none of them ever turned out as fudgy! Added some hazelnuts in for an extra crunch. My family absolutely loved the brownies. Will definitely stick to this recipe from now on. Thanks Tessa! Hi Tessa. This recipe looks so yummy I can’t wait to try it out in a few days! The only problem is that why is the 3/4 cup (128 grams) semisweet chocolate chips and the 3/4 cup (75 grams) unsweetened cocoa powder the same amount in cups if the grams are different? What I mean is that both are 3/4 cups but they are different amounts of grams. Would love if you could answer back asap. Thank you! ☺It does not really matter as I can figure it out in grams but just asking to be prepared when I make them! WOW. These are SO good. I usually don’t follow instructions perfectly, and my baked stuff is really tasty (for me and my hubby and kid anyway!). But I loved the way you broke down WHY things needed to be done a certain way. Like, normally when I see “let it cool”, I just ignore that (shh) but I let the batter cool as you instructed. I used olive oil since we don’t usually have veggie oil. Anyway, long story short, this is my new go to brownie recipe! And I can’t wait to check out other goodies from your site! Whoah so good this is an awesome website thanx for this recipe Tessa! Too tart,,not enough sweetness. Cocoa powder needs to have more sweetness to balance flavour. Fudge but not the best recipe. These required much longer than 30 minutes in the oven. They were still completely gooey throughout. Not sure what happened. Hi Esther, what kind of pan did you bake them in? And did you track your oven’s temperature with an oven thermometer? Wow, thank you so much for breaking down each ingredient and educating us on the effects of each one! Just curious, what is the purpose of the corn starch? and what would happen if it’s substituted with flour? Also, what do you think would happen if I use all purpose whole wheat flour or whole wheat pastry flour? Hi Jackie, did you miss the line explaining why cornstarch is called for? 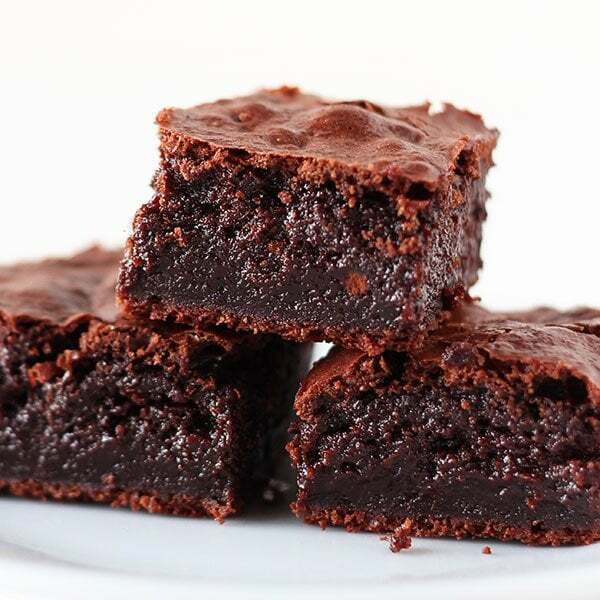 Here it is, “Cornstarch This little secret ingredient really helps to improve the texture of these brownies so they’re that much closer to the box mix kind.” You can think of it as a tenderizer. I would reccomend following the recipe exactly as I’ve written it the first time, then experiment with changes. Whole wheat flour would make the brownies denser with a more pronounced wheat flavor. I would start with no more than 50% whole wheat, 50% all purpose. Oops! I did look over the corn starch part! Thanks! Thanks for the tip on whole wheat! Perfect! Sooo chewy and easy to do…I just reduce the amount of sugar.. thanks! 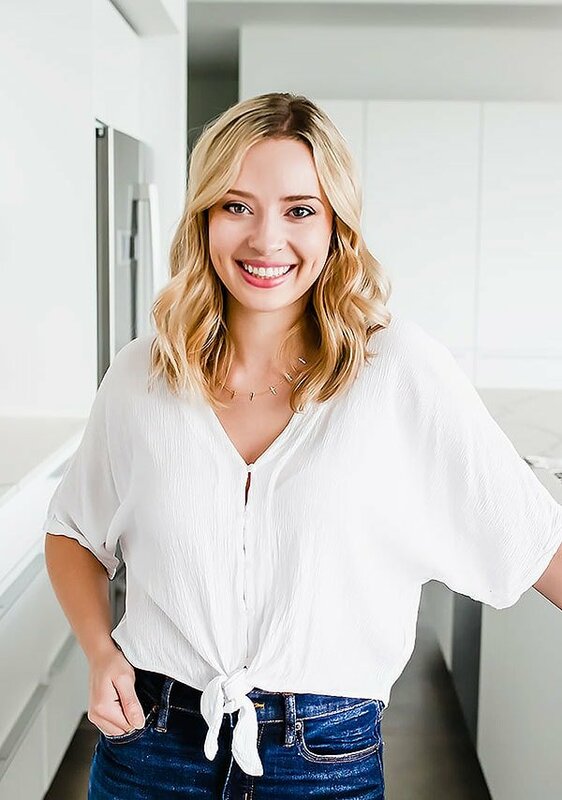 Tessa, I totes love your blog and it’s my go-to for dessert anything. I made these brownies tonight and they were perfect in texture but slightly too sweet for me. How can I adjust the recipe to make it not so sweet? Thanks for your wisdom and suggestions! Sure! The chocolate chips aren’t completely necessary. Let me know how it turns out! I can’t wait to try these! They look wonderful! 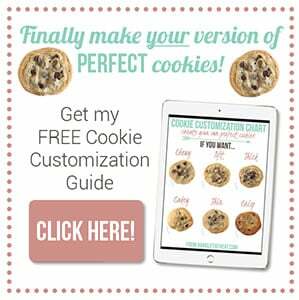 I have tried several of your recipes and also have your ultimate cookie. I can’t keep up with the orders for your peanut butter cookies so I expect these brownies to be great. Your blog is my go to for new recipes. Thanks so much for sharing. Side note, I no longer bake anything without using my digital scale! Thanks a bunch! My brownies were wonderful just as I expected! Where have you been all my life? I found the chocolate chips, so I made the recipe. It was delicious. I am just writing to thank you. They were maybe the best-tasting brownies I ever had. This is my first time ever commenting on a recipe I have made online . My previous attempts at brownie making have been a fail . I followed this recipe to the T except I followed another users experience and omitted the extra egg yolk(I used two jumbo eggs ). I also omitted the choc chips bc I didn’t have any .These are by far the best brownies ever! Completely idiot proof. So chewy and chocolatey. This will be my go to brownie recipe from here on out . Looking forward to trying more of your recipes .! how will these be without the cornstarch? That is one ingredient I don’t have so considering making it without the cornstarch, as I assume it will still be delicious… Am I correct? Also are the amount of ingredients suitable for a 13×9 pan? Absolutely delicious brownies! Super chocolatey and decadent (you basically get full just looking at them), and tasted amazing served hot with ice cream. Only one note: I followed the recipe exactly, and made sure that my oven was at 325, but after 30 minutes they were still totally raw in the middle. I had to keep adding time to my oven – ended up having to bake them an extra 20 minutes! I think it might be partly because of my climate – I live in the mountains in Calgary, and things take a bit longer here. I don’t usually have to adjust baking times that much, but whatever – after the extra time they turned out delicious and chewy, just like in the picture. Would definitely make again! Hi! I have a few qns! If i reduce the sugar how will the brownie be affected? Also what can i do to make the brownie even more chewy? My quest is over! I have made dozens of brownie recipes searching for one that is chewy, crispy on the edges and with a great, deep chocolate hit. THIS is the recipe. I have made them twice already and I’m about to make a third batch (in as many weeks) for a friend of mine who loves this brownie style as much as I do. 2) For the cocoa powder I use 1/2 cup basic unsweetened cocoa and 1/4 cup King Arthur Black Cocoa. This cocoa is deep black and bitter – it’s best to use this as a cocoa supplement and not for 100% of the cocoa in most recipes. I am now, thanks to Tessa, The Brownie King. Thank you so much! Hi these looked delicious so I decided to try them! I only had salted butter, so i omitted the salt. They don’t look the same as yours though, and I used everything else like the recipe. They also took a long time to cook, and I used a convection oven. Do you have any suggestions? I baked my brownies for 30 minutes as directed, but the middle was really liquidy and uncooked. I baked them for another 5-6 minutes and was worried about them overbaking but the middle was still uncooked. I don’t know what I did wrong, I followed all directions. Any suggestions? Hi Kathy, what kind of pan did you use? Did you gauge the oven temp with a thermometer? Mine usually isn’t anywhere close to being preheated when it says it is (and it’s only a few year old!). Is cornflour the same as cornstarch? if not, can I substitute cornstarch with cornflour? Was so looking forward to these brownies. Unfortunately, they were so undercooked at 30 min. Tried another 15 min and stil undone. 🙁 The top crust, however, looked nice. Quick question – are these more chewy or fudgy? They look amazing, but I’m really looking for a CHEWY brownie. We decided to try this recipe last night because my 6-year old niece is named Tessa, as well 😉 Boy, am I glad we did! We’ve been on a hunt to find the perfect chewy, gooey brownie recipe that matches the boxed texture & THIS IS IT! I didn’t have chocolate chips, so we left those out & I had to double the recipe – we just used 5 eggs, instead of 4 eggs + 2 yolks. The “substitutions” turned out great. The only [possible] drawback…the top of the brownies rose in the oven, then the inside caved as it cooled. This created a crater-like effect on the top (which also included some pieces that tasted like Brownie Brittle – YUM!!!) so they weren’t as pretty as yours, but they did taste delightful! Thank you for sharing! These are the BEST brownies ever! My husband says that in the 31 years we’ve been married and I’ve been baking these absolutely his favorite of all time. My only tweak was to add cinnamon to the batter (I add cinnamon to my coffee every morning so I’m as addicted to that as to chocolate). I made your buttercream for birthday cupcakes last month and it was amazing. 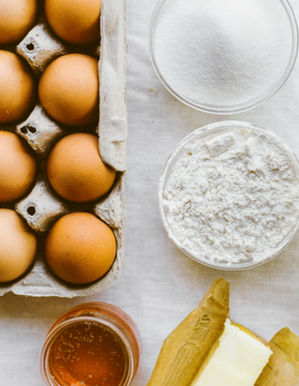 You are totally my go-to place for baking hints and recipes. Thank you for all you do! Bonjour! Je cherche depuis 6mois la recette de brownie suffisamment humide car mon fils a un goût très précis en tête. J’ai lu toutes les explications techniques qui sont super intéressantes. Je suis française donc je ne connais pas vos marques de chocolats, pour la cuisson si au bout de 30 mns le gâteau n’a pas l’air cuit, je le sors quand même? Je vais tester votre recette et je vous tiens au courant. Bon week-end! I have just found you. Your recipes look great and I am going to try some. Please can you tell me in your recipe’s you use Granulated sugar, is that the same as Caster sugar in the UK. By far the Best brownie recipe ever! Have repeated many many times! Wondering If possible to double the recipe and bake in a 10 x 10 in pan. So pleased to hear that!! I’ve only doubled and baked in a 9×13-inch pan, not 10×10, so I’m not sure. Just made these and doubled the recipe. Didn’t melt the butter but it was room temperature and very soft. I did beat it to death with the sugar to dissolve the sugar and followed the rest of the recipe without adding the chocolate chips. I used Trader’s Joe’s cocoa. My only problem had to do with pan size, because I used one of those brownie pans with the compartments and I filled it too high and put the rest of it in the usual 8×8 pan. Not a huge problem but I do have a lot of brownie crumbs. The 8×8 pan came out perfectly. For baking time, I just cooked them until done, and the 30 minutes was pretty close to how long I let them cook. These brownies are freaking AWESOME. Bye-bye boxed mix! I tried this just now, it’s so delicious and easy and I think I found the kind of brownie i’ve been looking for. Thank you for sharing..
Just amazed that people are so thrilled with replicating the flavor of boxed brownie mix. The flavor of those tastes so fake I won’t eat them–sort of like chemicals morphing into additives morphing into pretend brownies. Was that a rant?? Sorry! Can’t wait to try simply for the texture and hopefully homemade brownie goodness. I think it’s more about the chewy texture box mix brownies have that people love! 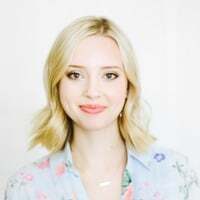 Hi Tessa, I watched your video on Natural / Dutch processed cocoa. I see you are using Hersheys Special Dark in this brownie recipe. My question is since it is a combo of natural and dutch cocoas, which leavener would be your choice in other recipes using Special Dark if you want more lift (such as in cakes) baking powder or baking soda? And thanks for the very informative videos. These are by far the best from scratch recipes I’ve made. However, after trying with several types of cocoa, I’ve found that the only acceptable one is Dutch process, then I leave out the baking soda. Upon looking at a box of brownies mix from Aldi today, I realized that their boxed brownie mix uses Dutch process cocoa, as well. I have made many many brownie recipes in search of one that my husband finds acceptable. He really loves your recipe (as long as I use DP cocoa), but today I made Aldi’s box mix and he tried one and said, “now THAT’S a brownie.” So, apparently, boxed brownies are still better (according to him, and that is the only opinion that makes a difference in my world). I don’t know why people think boxed mixes taste like chemicals, though. There are literally no chemicals or preservatives in them. The Aldi brand is “sugar, flour, cocoa processed with alkali (Dutch processed), corn starch, palm oil, salt. Literally no different than making from scratch. SO, that given, I’m now on a quest to make scratch brownies that my husband can not distinguish from boxed. I noticed, though, that the texture of the boxed mix doesn’t seem like it has granulated sugar, but maybe powdered? Do you know if it is possible to substitute powdered sugar and how it would affect the texture? I’m also curious about using a different saturated fat, perhaps shortening? Butter imparts a distinct richer flavor and since boxed uses palm oil, I’m thinking using shortening might get closer to the flavor of boxed? I thought about coconut oil, but I would be concerned about the lower melting point. Plus it’s more expensive, and since I”m already shelling out for DP cocoa, I want to keep the other ingredients as cheap as possible. I’m also thinking of eliminating the vanilla since that is not in boxed brownies, either. I made these last night when that are perfect. Was really hoping they would be chewy with the title and all the explanations. Was disappointed that they weren’t. The recipe makes a good fudgy brownie but not the chewy result I was after. Can i substitute granulated sugar and corn starch with confectioners sugar? No, I’d recommend making the recipe as written. I love the chew and flavor of this brownie, but miss the crunchy top texture. I tried whipping the eggs and sugar to get the crunch, but the brownie itself probably has too much moisture to achieve that. Do you have any suggestions in making a chewy brownie with a crunchy top? I’ve made 4 different recipes this week already. I was wondering if i can substitute the vegetable oil for canola oil, since thats the oinly type of oil i have. well is the one I use to cook with so thats what I have lol. For some reason the page keeps on jumping up and down what makes it very frustrating to read your tips etc as well as the comments.Don’t think it is my computer since it is just your page that has the issue. Please look into this. The brownies are superb!! Thanks. Great recipe. I made these with Andes baking pieces. YUM. Thanks for another great recipe. Ayy, these brownies are lit af. No joke this is now my go-to brownie recipe. The combination of butter and oil in the batter is everything. I’ve been making them with Dutch-processed cocoa powder simply because that’s what I have around the kitchen mostly. My mother wanted to make boxed brownies for a family get together and it took a lot of convincing to get her to try yet another brownie recipe. I ultimately chose your recipe because it didnt call for melted chocolate. I was so worried they wouldnt turn out. I would never hear the end of it from my mother. Not only did they turn out, they were amazing! They were chewy and fudgy and everything a brownie should be. They were the perfect sweetness. I followed the recipe exactly but I did bake it in a glass pan so it did take longer to bake but they were still so moist. My mother said they were better than boxed brownies and this is our go to recipe from now on. Thank you for the great recipe! This recipe is absolute perfection! Thank you so much! They’re so rich and fudgey but somehow beautiful textured and not too too dense. I heated the vegetable oil to bloom the cocoa powder before I added it to the wet ingredients, and added some instant coffee granules as well for even deeper chocolate flavor. These didn’t not disappoint. I will never use another recipe again! WOW. Just wow. 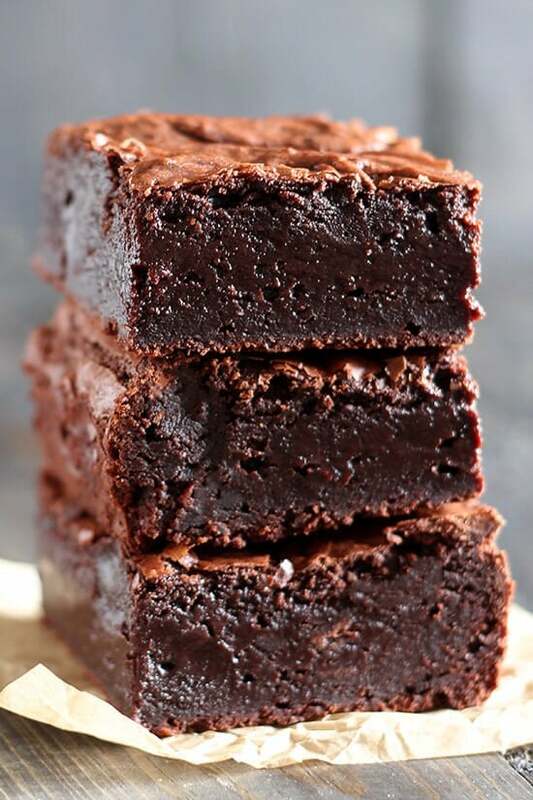 Loved these so much.. Hubby had a craving for brownies one night, I luckily tried this recipe and now I AM HOOKED on them and her website!! They are so moist, SO deep in chocolate flavour, yet not too sweet..This girl is a baking GOD and this is the baking bible. Thank you!! Quick Q: have you ever tried making these into mini cupcakes? And if so, did you use a liner? Absolutely delicious! Lived up to the name for sure. Thanks for another great recipe. I make these with Bob’s Red Mill gluten free 1 to 1 flour and they are AMAZING! Of course, I also use 12T of butter…. lol! See, what had happened was.. my kids were running all around me and the music was up and I somehow got 12 in my head. They were too good to mess with. I sprinkle coarse salt on top and crushed candy canes when the mood strikes. Fantastic! Highly recommend this recipe! I am in Sri Lanka at the moment and my kids really wanted chocolate! I was craving chocolate brownies! I made these but I obviously did something wrong! It was like cake and not chewy at all. It was still yummy but not a brownie. hahaha OOPPPPS! These brownies remind me of a recipe One of my friends and I use to enjoy as children! Of course, my MOM likes walnuts, so I added crushed walnuts on top, but only to half of the recipe you provided! Thank you so much for sharing! I wouldn’t change the original recipe any, it’s perfect just the way it is! SWEETS are always a girls best friend! Can I double the recipe and make this in a 9×13 pan? I need this for a crowd! Best homemade brownies I have ever made!! Moist and delicious!!! Thank you for sharing, definitely only brownie recipe I will be using!! Wow! I just made these today and they are just perfect. This will forever be my go-to brownie recipe. My husband said these were the best brownies he’s ever had in his life! Thank you for sharing this awesome recipe!! Hey tessa, this looks great. just wondering if this chewy brownie will have the same crispy top as the ultimate brownies??? i would prefer my browies to be crispy at the top and chewy in the middle, which of the recipe would you recommend for me to bake? Do I have to use cornstarch in this recipe? If possible, what substitutes can I use instead of cornstarch? Thanks in advance! Hi Tessa, thank you so much for the fantastic recipe! My family thoroughly enjoyed the treat. I am wondering, what is the purpose of baking the batter in a foil covered pan? What does the foil add? These are my go to brownies! I can make them up in a hurry and I never have a problem with them. They are always a chocolaty, chewy hit! These brownies are the best I’ve made. My husband loved them. So chewy and delicious. Omg! This is the best brownies i ever had! Nice chewy inside with little crustiness outside. I did everything called out in the recipe. Make sure to read all the baking tips. Thank you sooooo much! I have never left a food comment before but after trying several different brownie recipes that were beyond disappointing, I was so surprised and thrilled with these! They came out perfect– delicious, fudge, crusty, shiny top. Perfect. Hi Tessa, thank you for this recipe! I tried it as is. I thought the look, taste and texture was pretty spot on for “boxed” brownies from scratch. However, for me, boxed brownies, as are these, are way too sweet! Even my 6 y/o thought they were too sweet. I understand that’s how you get the flaky top crust, but i’d be okay without it if it still has this texture. I will experiment next time by reducing sugar & add nuts instead of chips (think that extra 1/4 cup and the choco chips are excessive on sweetness). These brownies were soooooo good!! The only thing I suggest is maybe baking it for a little less time. Maybe only 15 minutes instead of 30! That is the only things that I think should be fixed about these! I think this is my new favorite brownie recipe! I bake A LOT so I have tried quite a few recipes, too. It is important not to overbake them. Awesome recipe! Thank you! Love your posts and the way you present them. Can we make the brownies without using eggs? Could you pls share an eggless version of the same please. Thank you. These taste as close as possible to boxed brownies, which I love, but I know are filled with crappy ingredients. They came out great! Hi Tessa. Made these last week and they were a hit. I was wondering, can I bake two 8×8 trays at the same time or will this cause temperature issues? Best brownie recipe I’ve ever tried. I added 1 tsp. of med-dark coffee grounds for a mocha brownie. Husband absolutely loved them, my second batch is in the oven right now. If you love chewy gooey brownies look no further. I tried your recipe and everyone loved the brownies! I made 2 minor changes: substituted 1/4 cup brown sugar for 1/4 cup of the white, and used coconut oil. This has become my go-to brownie recipe because of the texture. I have one question though, if I was to make a brownie recipe using baking chocolate instead of cocoa powder, would I use the same amount of butter and vegetable oil? This is the best brownie recipe I have ever tried – hands down. I followed instructions to a T and they come out PERFECTLY every single time! My only questions is what pan and how long to cook if you want to double the recipe? These are the chewiest brownies ever! I have made all types of brownies for years. This is by far the tastiest and chewiest. Thank you for such a great recipe. Hello, Tessa! I came across your website as I browsed Pinterest. I really liked how you explain the whys and the why nots of baking! I have passed this recipe on to our children and have made these brownies three or four times. These are THE BEST I have ever tasted. Everything about them is a total THUMBS UP, thank you! I really enjoyed these although I wish they were a little more chewey. I’m making them again tomorrow, perhaps I didn’t measure carefully. Growing up it seems the brownies I made then were more chewey yet still moist, not dry. I’ve lost my old cookbook and can’t seem to replace it. These were very chocolatey and of course I added nuts! I used a metal baking pan and it was very undercooked after being baked for 30 minutes. The center was still like a liquid. I currently have them in the oven for an additional 10 minutes and I’ll be testing it on and off again until it’s done. But because I read in the article that a lot of people have this issue and you said you thought it was because of a glass baking pan (which I did not use) I just recommend changing the bake time in the recipe. Loved them- just the consistency I was looking for – my 56 year old son also taste tested and gave them thumbs up-except he said he would rather not have the crunchy choc chips in it. I am amazed at the people who do not read the entire directions, or make a ‘small change’ to them and then complain about the outcome. I tried this recipe with a little skeptism just hoping that it sould turn out alright, was kinda turned off with the amouny of sugar that had to be used…(still kinda wary of the calories) BUT THEY ARE JUST SO AWESOMEEEEEEE. I used baking powder instead of baking soda, also used chopped milk chocolates instead of chocolate chips (this helped to get the crinkly crust top layer i think), the browniea tasted kinda bitter fresh out of the oven or it might just be due to flu but after beinv refridgerated… oh my… especially when chunks of hardened milk chocolate came into bite… its definately worth the calories. I tried using cupcake pans too, still awesome, but needed slightly more baking time. Hope other readers will see this if they are thinking of alternate ways to enjoy this new recipe. Thanks for this recipe! Food for thought, i saw some people complaining about the baking time, I didnt use a pan, instead i was using those aluminium foiled square thingys for one time use. I lined it with aluminium foil so i could reuse the pan. Also i only filled it up to about slightly less than half. As for the cupcake pans, they were metal pans and i did needed to leave it in the half open oven to let the heat cook it for another 5-10minutes. i have a feeling it may be due to people filling the pans too full thats why it required longer baking time just like my cupcakes did. instead of asking the writer to change the baking time, u might want to fill in the lesser batter. since many baking shows actually taught that the right amount of batter is to always fill it up to HALF the pan’s height. And all bakers should always know that thicker batter needs longer baking time. I reduce sugar to 1 cup and it comes out very nice. Everyone loves it, especially my daughter who’s fan of every chocolate dessert. I’ll try almond flour next time. I made your brownies yesterday and they came out flawless. I didn’t have a square metal pan so I used one of my mom’s old Wilton round cake pans. Perfect. My mom took cake decorating classes back in the 70’s and I have a whole set. We got so tired of eating cakes that she would just turn the pan over and decorate the bottom for practice. LOL I also used peanut oil (which I am a big fan of) and still they were moist and chewy with a nice crunch on the top. Thanks again and Happy Holidays!!! I have made this recipe and its very good. I see that I can double it to bake in a 13×9 pan. I want to use a 13×9 sheet pan so they come out thinner. My plan is to use mini cookie cutters. Would these overflow if I used the sheet pan versus a high sided 13×9? Hi! I tried baking this last week for a party and it was a hit! Chewy chocolatey goodness! yummy but came out cakier than expected! My brownies were so great! Chewy, and fudgy. Thank you, for the great recipe I will keep in my treasure chest of recipes I Love! Just a quick question ..If I don’t have corn syrup ,what can I put instead? I can’t find corn syrup where I live. I made these to give as a gift yesterday, and got this glowing review from the recipient this morning: ‘AWESOME! The best brownies I’ve ever had!’ I followed the recipe exactly and they came out perfectly. It’s great to know the science behind the ingredients and techniques, and to have the measurements in grams. I’m binning all my other brownie recipes, this is the only one I need. Thank you! Does the cornstarch need to be dissolved before adding it to the mixture? I’m not one that usually posts reviews, but I just HAD to after trying this recipe! These brownies are amazing! I am a terrible baker and have never come close to making anything edible! Its a running joke in the house when I am baking that its going to be a disaster, but these brownies have given me faith again haha! Thank you so so much girl! Soooo… I made FOUR batches of these brownies in one day for my daughter’s high school fundraiser. The first couple batches were made exactly as written using Lidl cocoa powder. Batch 1 baked in an 8×8 pan with semi-sweet chips, batch 2 in a 12-cup muffin tin with white chocolate chips. Both versions were excellent. The next 2 batches used Hershey’s Special Dark Cocoa + 2 tablespoons of espresso powder (using an 8×8 pan with butterscotch chips and a 12-cup muffin tin with dark chocolate chips). I prefer the Hershey Special Dark with the espresso powder to the recipe with standard cocoa powder. The type of chips didn’t really make a difference to me. All the batches yielded chewy, delicious brownies. I’ll absolutely make these again! I would love to make these in a muffin tin, thanks Jessica for the idea. Just baked these for Valentine’s day. So delicious!! Ok so the brownies aren’t terrible but I’m looking for the shiny top like none other this far Duncan Hines has! moist chewy fudgy but the ingredients I’ve been trying many recipes to no avail. any help? Just made these and they turned out lovely. However, due to living at a higher altitude in Calgary I had to add an additional 25 mins to the cooking time plus I have a gas oven which I find isn’t quite as hot as electric. I have actually never cooked brownies for less than 55 mins before so I was wondering and as others have posted they were too runny in the middle so you may want to adjust the time on the recipe. Thank you for sharing!!! Thank for this recipe this recipe. They turned out so delicious! I followed the recipe exactly it was simple and easy and will definitely make it again! sorry I meant to push 5 stars. This is it – the one. The brownie recipe I’ve been searching for. It’s got that perfect crinkly top that brownie recipes lack so often, and it’s still moist and chewy. I might even venture to say it’s the perfect brownie recipe! Finally! You made my day, I found a wonderful brownie recipe, thank you very much.the only change I kept it for 35 min, because after 30 min it was not done. Not having to melt the chocolate makes it much faster and easier. That will be my go to brownie recipe I am going to erase all others.